I never pay just full price for a hotel, and you should make it a habit not to as well. Thanks to my American Express Platinum card, I have Starwood Preferred Guest (SPG) Gold status automatically. This means I usually get rooms for free using points or very cheap using points and cash. However, I'll save the Starwood discussion for another time, since I didn't use them this time for my early NYC interview. After searching for awhile on hotels.com, booking.com, and getaroom.com, I found that the cheapest hotel I could find was around $375 per night, or $290 for a dingy hotel. I find no benefit from paying full price for a random hotel that I had no elite status with. So I turned to Better Bidding, a free open forum where people bid on hotels on Priceline's Name Your Own Price and post their winning results. Someone considering making a bid can search the city, neighborhood, number of stars, and winning price for a given hotel in the past. Browsing the Better Bidding forum, I searched for 2.5-star and 3-star hotels in the neighborhood of my interview and saw that a past winning prices were around $120 and $150, respectively. So to try and get a better deal, I went on Priceline and offered $130 for a 3-star hotel, which was rejected. The bidding rules with Priceline are that for a given set of search criteria (city, neighborhood, stars), you can only make on bid every 24 hours. 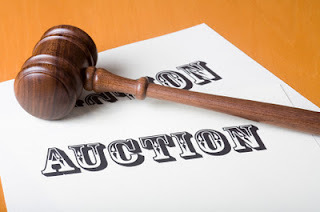 However, if you change any of the criteria, such as adding additional neighborhoods or lowering the star threshold, you can make another bid. So I made a second bid for $130 for a 2.5-star, and won the bid! The hotel ended up being very spacious, a little older (as a lot of hotels in the area were), and for $130 plus tax, I have no complaints! Much better than paying $375 per night! Next time, before paying full price for a hotel, check Better Bidding and Priceline!